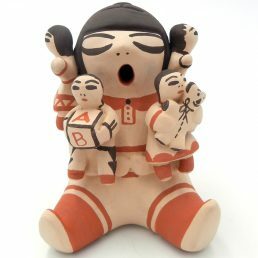 Perhaps more than any other art form, Native American Indian pottery reflects the values and culture of Southwestern Pueblos and tribes. 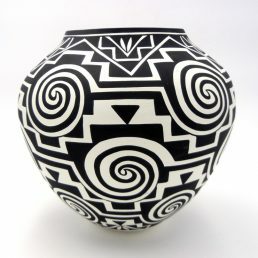 Drawing on geometric patterns and symbols characteristic of the much earlier Mimbres culture, contemporary Native American Indian pottery still reflects a profound understanding of the relationship between Land and People. 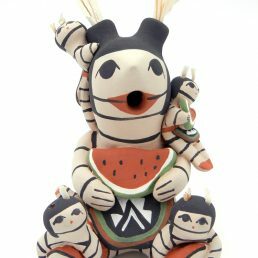 Palms Trading Company also carries pottery by Mata Ortiz artists in Mexico. 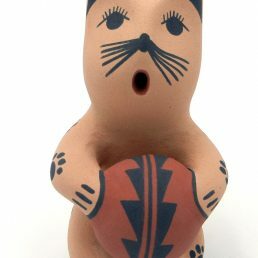 Each Pueblo’s or tribe’s pottery is distinct, yet all Native American pottery contributes to the distinctive Southwestern style. 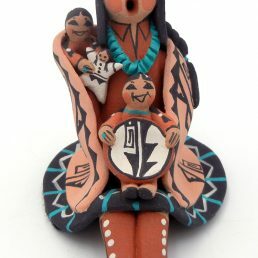 Palms Trading Company carries both ceramic and authentic Native American pottery. 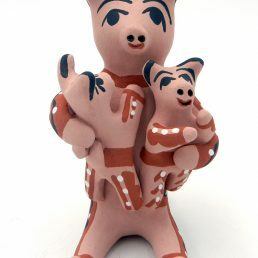 Many pieces in our store and all pieces on this site are hand coiled by the artists using earth clay. 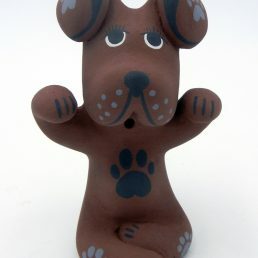 Artists use traditional techniques and materials to paint and finish each piece. Our collection displays the range of Indian pottery styles and designs. 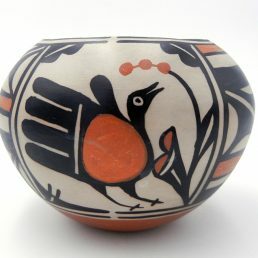 Most pieces are traditional pots, vases and bowls. 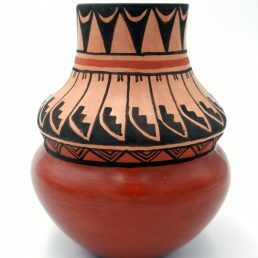 However, there are unique pieces like seed pots and Native American wedding vases whose special shape and function arise from practices and ceremonies unique to the Pueblos. Whether you are a seasoned collector or just beginning to explore the culture and traditions captured by Indian pottery, Palms Trading Company can help you build your collection. 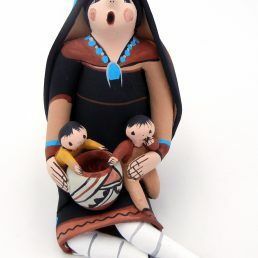 Our knowledgeable staff will be happy to show you the characteristic differences between each Pueblo’s style and technique as well as explain the benefits of owning authentic Indian pottery. Please contact us with any questions or to get the assistance of our personal shopper service.